Jazz apples are round with a rosy red skin oftentimes splashed with undertones of yellow, orange and green. Their creamy yellow flesh is dense and juicy with an exceptionally crisp texture. Its flavor is the perfect combination of its parents, a classic low acid sweet-tart apple taste with subtle hints of pear. Jazz apples are extremely firm when first harvested and will soften just slightly in cold storage. This firm consistency makes them resistant to bruising and well suited for travel. 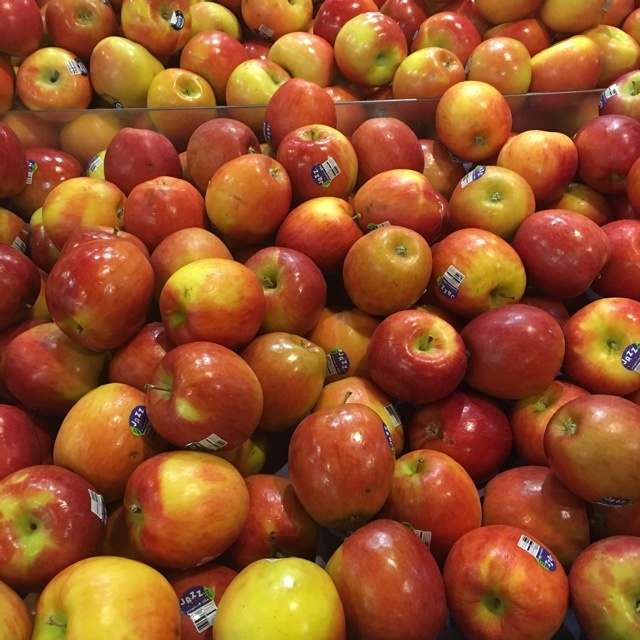 Growing in both the northern and southern hemisphere, Jazz apples are available year-round with supplies coming from the United Kingdom and United States late October through April and New Zealand and Chile March through September. 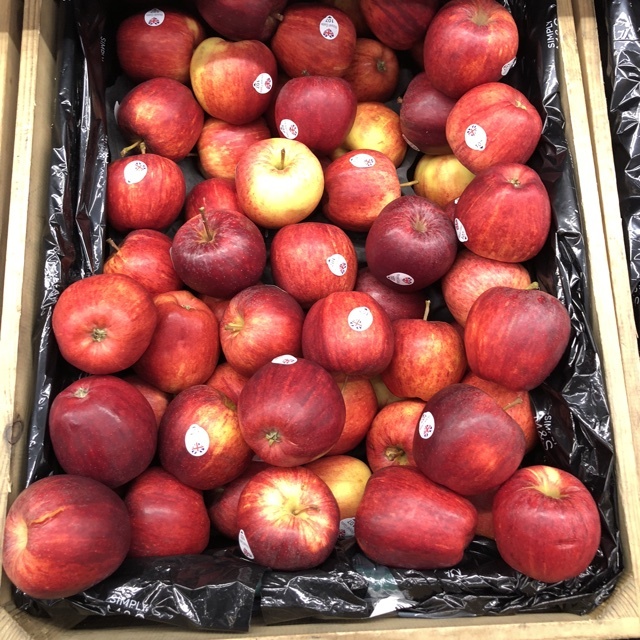 A new bi colored variety the Jazz apple is a cross between two popular New Zealand apples, the Braeburn and Royal Gala. Marketing and production are regulated by ENZA (formerly known as The New Zealand Apple and Pear Marketing Board). 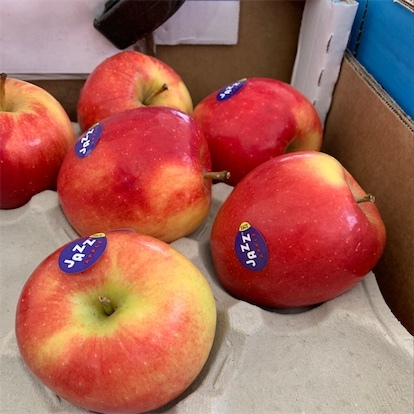 A trademarked variety, ENZA holds the global rights to the Jazz apple meaning all orchards that produce the Jazz do so by permission and under strict quality control guidelines. Jazz apples are an excellent source phytochemicals or antioxidants, particularly quercetin, catechin and procyanidin B2. Antioxidants such as these have been show to help prevent Alzheimer’s disease, lower cholesterol levels and prevent and slow the development of certain cancers. 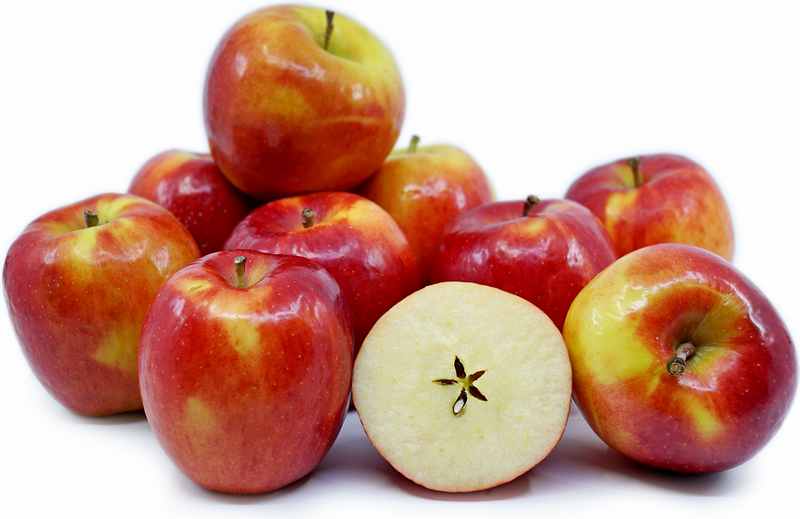 Jazz apples are also high in folic acid and the dietary fiber pectin, both of which help promote a healthy heart. Jazz apples hold up well when baked, maintaining both their sweet flavor and crisp texture. Bake into muffins, cakes and bread, or hollow and stuff to make baked apples. An excellent desert apple, Jazz apple can be added to pies, galettes and tarts. Their sweet tart flavor will complement savory preparations as well. Roast thick cut Jazz apple slices along with vegetables or add slices to the cavity of a chicken prior to roasting to add sweetness and moisture. The crisp texture of the Jazz is perfect when used in fresh applications. Add slices to burgers, dice and use in a chopped salad or serve sliced for dipping. The flavor of the Jazz pairs well with caramel, cinnamon, fennel, pork, pear, ginger and cheeses such as goat, cheddar and gouda. The Jazz apple was first developed in the mid 1980’s by Allen White of Plant and Food Research at the Havelock North site in New Zealand. 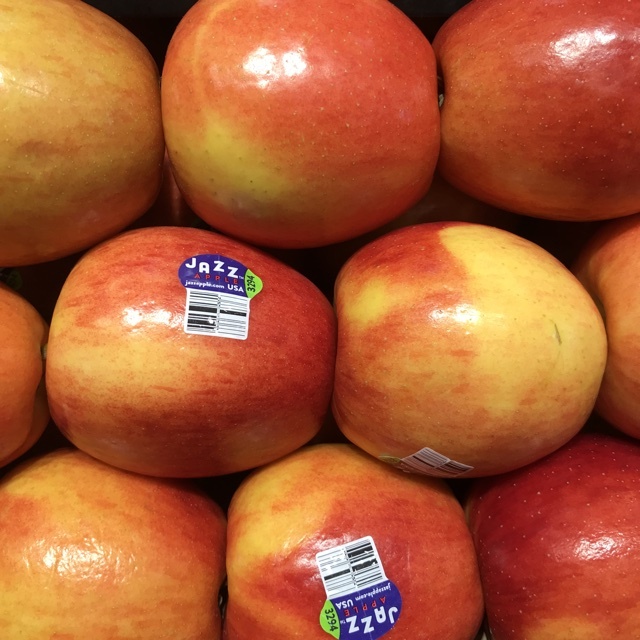 Commercial production of Jazz apples began in the late 1990’s, first solely in New Zealand and then by 2010 spreading to France, England, Chile and in the United States in Washington State. Recipes that include Jazz Apples. One is easiest, three is harder. 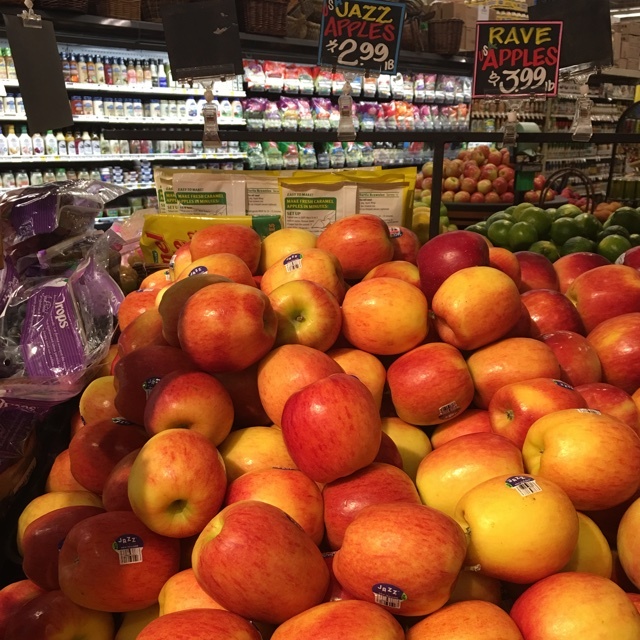 People have shared Jazz Apples using the Specialty Produce app for iPhone and Android. Sharer's comments : Jazz Apples spotted at Cardiff Seaside Market. Sharer's comments : Jazz Apples spotted at Safeway. 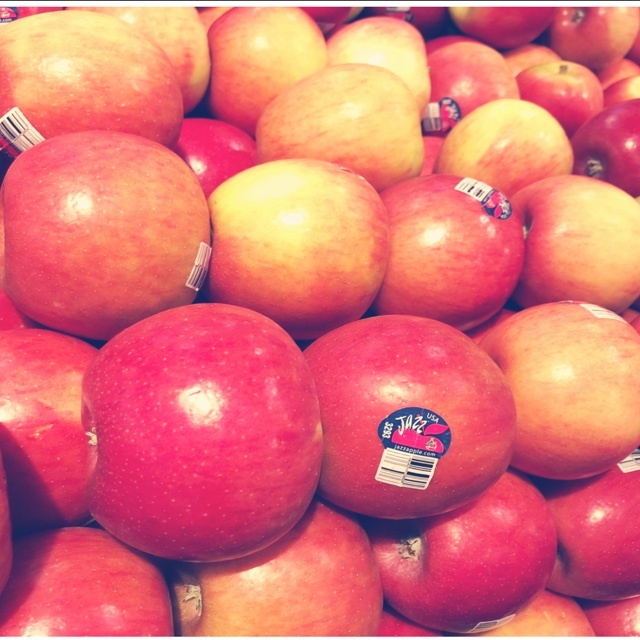 Sharer's comments : Jazz Apples spotted at Mount Royal Fine Foods. Sharer's comments : Jazz Apples spotted at Thriftway. 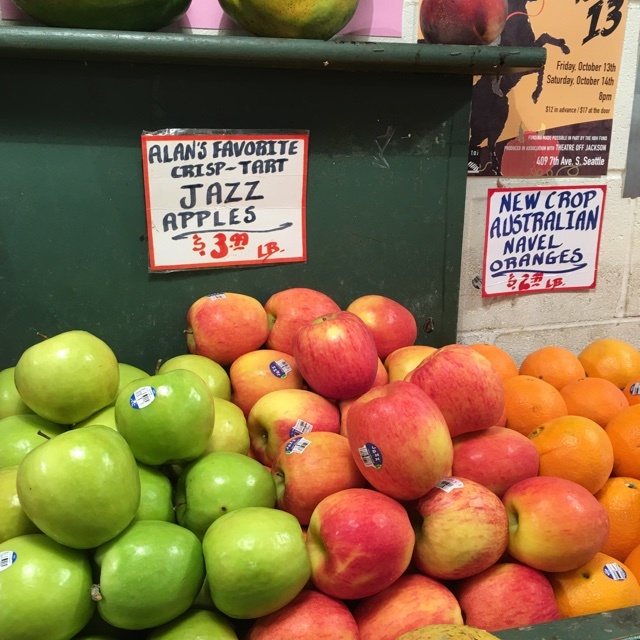 Sharer's comments : Jazz Apples spotted at Pike Place Market. Sharer's comments : Jazz Apples spotted at The Boys Farmers Market Militry Trl Delray Beach Fl.